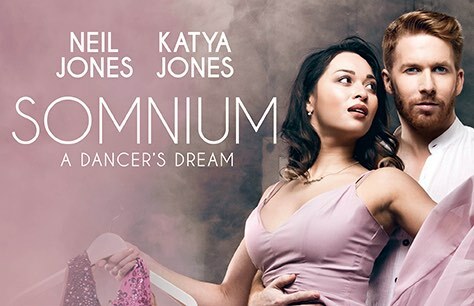 Join Neil and Katya Jones, multiple World Champions and stars of Strictly Come Dancing, for the premiere of their brand-new show - Somnium: A Dancer’s Dream. Specially devised and choreographed for the Lichfield Festival, and featuring a company of dancers, Somnium tells the story of a boy from Britain and a girl from Russia who met, fell in love and overcame the odds to become dance stars and World Champions. With vivid storytelling and sensational Latin and ballroom choreography, expect the unexpected as the Cathedral Nave becomes a ballroom in-the-round for one spectacular night only. Neil and Katya Jones are British and World Champion dancers currently appearing on the BBC One hit show Strictly Come Dancing. Neil partnered Konnie Huq in the Strictly Children In Need Special and Judy Murray in the Strictly Christmas Special in 2017. Katya joined Strictly in 2016 (paired with Ed Balls) and lifted the Glitterball trophy last year with actor Joe McFadden.